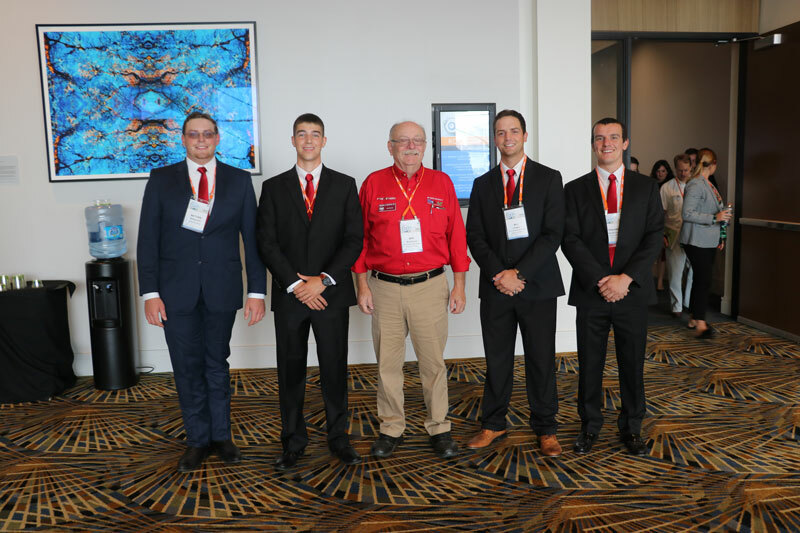 NC State BAE students, faculty and staff traveled to Detroit, Michigan this year to attend the American Society of Agricultural and Biological Engineers Annual International Meeting. 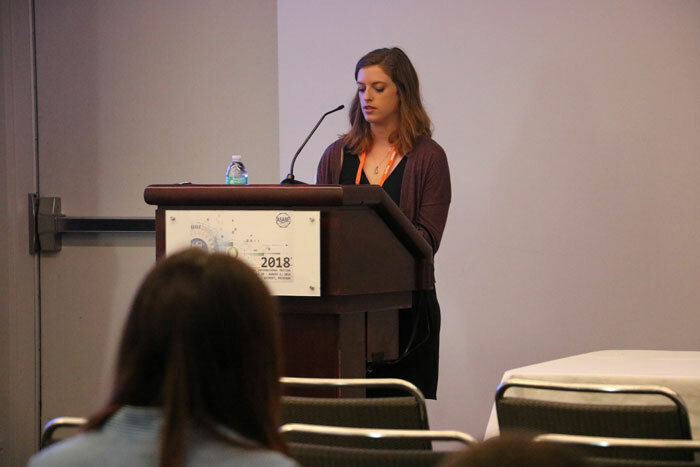 In addition to sharing research during technical presentations, poster sessions and panels, many from the BAE Pack were nominated and recognized with multiple honors and awards. Catch up and follow along with what happened on our Twitter and Facebook. See the full list of technical presentations here. This team designed and built a pine mulch processing unit. There is currently no method of mechanization in the pine mulch processing industry. Pine straw must be manually separated from pine cones, dirt, sticks or any other trash that is not desirable in the pine straw industry. The Pine Biner separates pine straw from these less desirable materials. This team designed and built a floating wetlands system at MacGregor Downs Lake to collect trash and improve the water quality in the lake. A significant part of their project included designing and building an anchor that would release in certain storm conditions to keep from damaging the wetlands system. 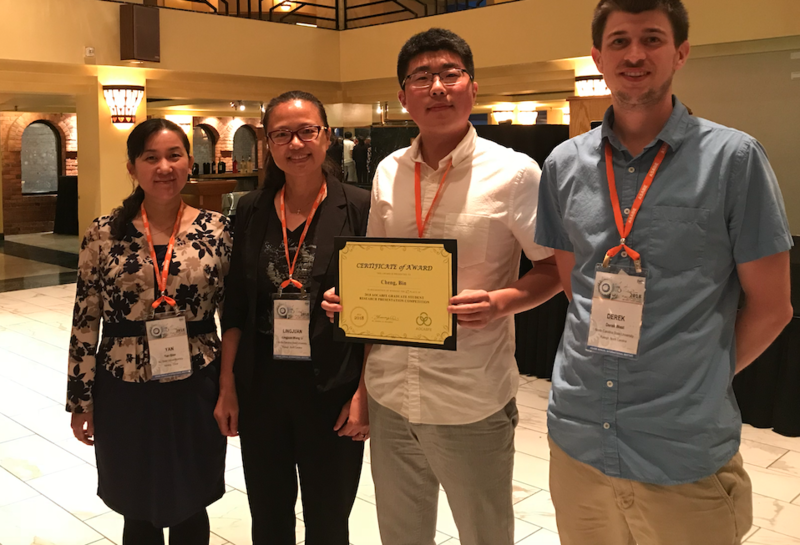 Bin Cheng (graduate student with Dr. Wang Li) won 2nd place in the graduate student research presentation competition of the Association of Overseas Chinese Agricultural, Biological, and Food Engineers (AOCABFE). 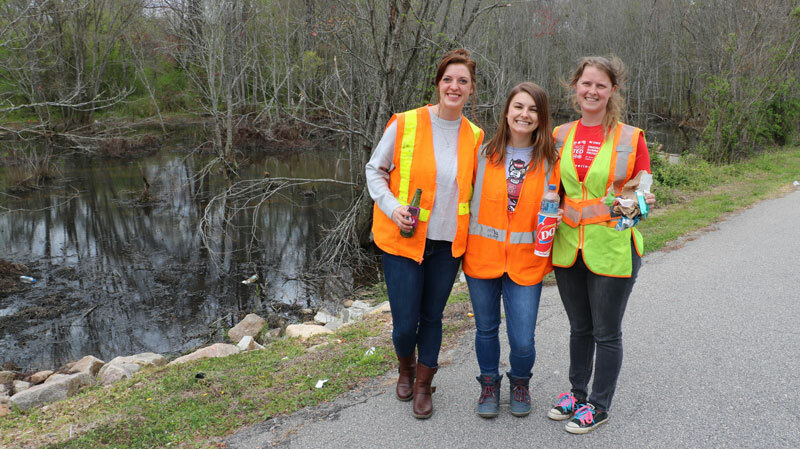 Kayla Kassa, Katie Balaze, and Katy Mazer were asked to create a video of five minutes or less, describing an ethical issue(s) faced by agricultural and biological engineers in practice or research. View the video here. Wayne Skaggs was recognized for his paper, Coefficients for Quantifying Subsurface Drainage Rates. Journal articles published by ASABE during 2017 are eligible for 2018 Paper Awards. Each community selects up to 5% of the articles published by their community for an award. Winners are presented with a certificate during the General Session at the annual international meeting. 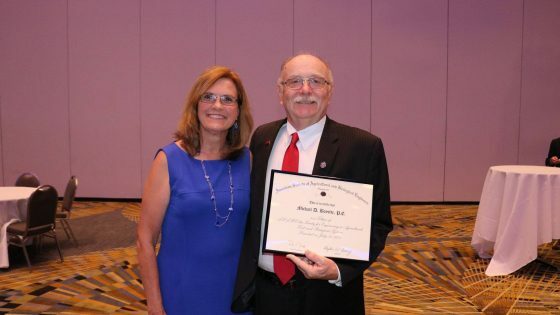 Mike Boyette was inducted as a 2018 ASABE Fellow. 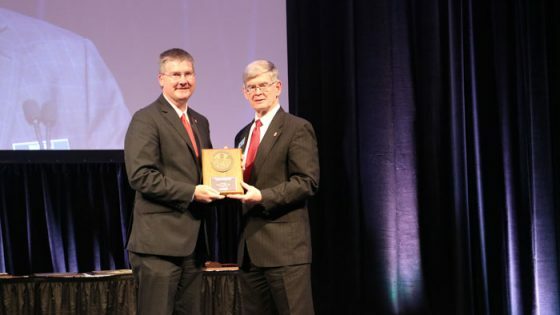 ASABE defines a Fellow as a member of unusual professional distinction, with outstanding and extraordinary qualifications and experience in, or related to, the field of agricultural, food, or biological systems engineering. 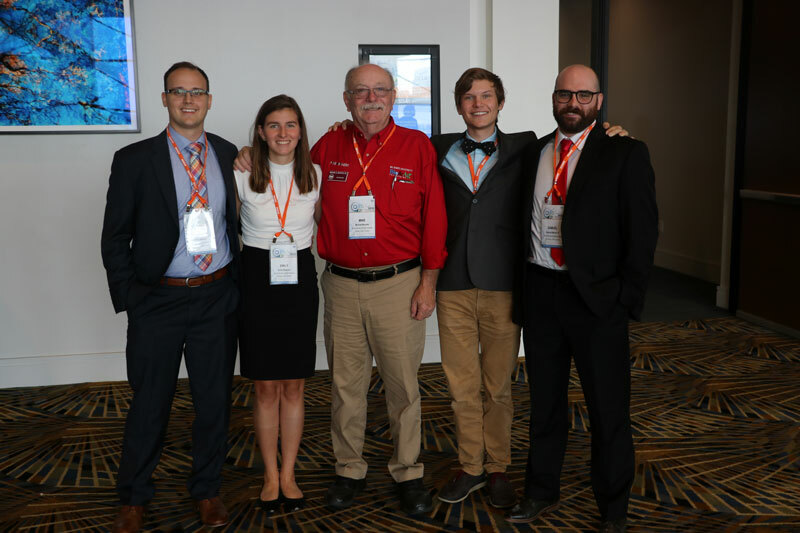 ASABE Fellows possess a minimum of 20 years of active practice in, or related to, the profession of engineering; the teaching of engineering; or the teaching of an engineering-related curriculum and a minimum of 20 years as an active Member-Engineer or Member in ASABE. Garey Fox was awarded the 2018 2018 ADS/Hanford Soil and Water Engineering Award. 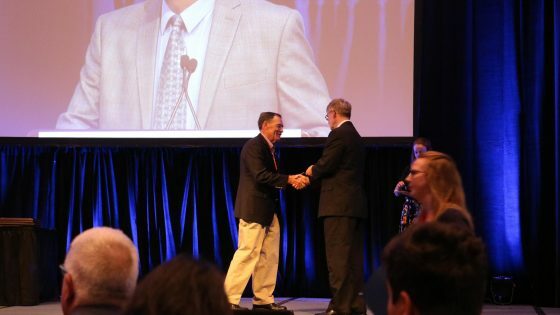 This award honors and recognizes a member of ASABE who has performed noteworthy contributions to the advancement of soil and water engineering in teaching, research, planning, design, construction, management or development of materials. These contributions shall have been either in the form of published literature, notable performance, or special actions which have served to advance the science of soil and water engineering.